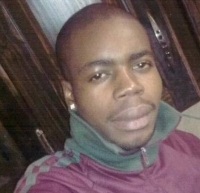 Mphatso Mawela has won Free Accommodation 1 time! "Am so so extremely super excited about this, at first went with faith and indeed my redeemer liveth I am so wonderful and happy to greater extent I am thankful for this opportunity"
Centrally situated in Durbanville and is ideal for business travellers and holidaymakers. All the rooms are en-suite and have all you may need for a comfortable stay. 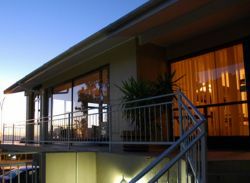 Winelands lodge is centrally situated in Durbanville Hills,and is ± 25km from the Waterfront and the airport. We are close to shopping malls, medical facilities, vineyards and sport stadiums. The lodge overlooks the Helderberg mountains and is close to main road network for easy travel to your destination. Enjoy relaxing in the lounge overlooking the Drakenstein mountains or if you enjoy water have an early morning swim in the summer months. On cold winters nights cuddle up in your warm winter woolies next to the fire. Braai (BBQ) facilities suitable for small groups on vacation. Fully licensed so you can enjoy a glass of local wine in a relaxed atmosphere.